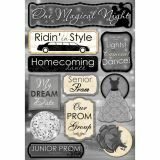 Cardstock Stickers - KAREN FOSTER DESIGNS-Cardstock Stickers: My Prom Night. This package contains a 9x5-1/2 sheet of acid and lignin free, archival high quality stickers perfect for scrapbooks, greeting cards and all paper craft projects. 17 total stickers. Made in USA. 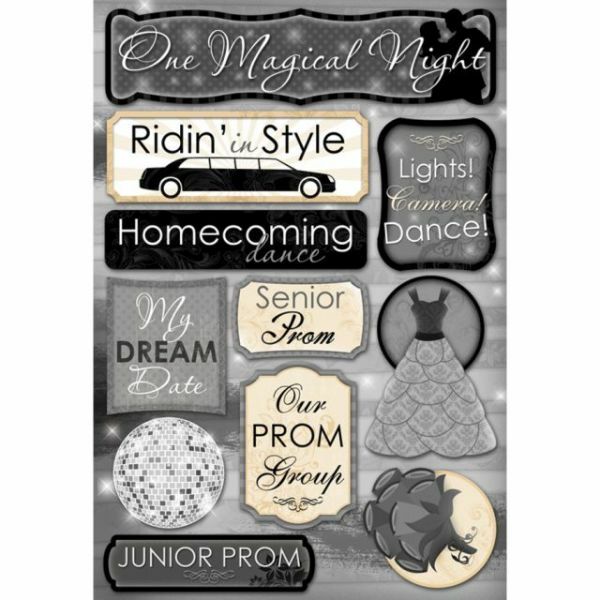 Size, shape, color and number of sticker per sheet varies by theme. Made in USA.